In celebrating this year’s World Green Building Week, Carboun has released a visual guide to energy use in buildings with the goal of explaining the overall state of energy use in the region and the significance of buildings as a major sector in energy consumption. It also aims to comparatively explain the nuances of the major trends of energy use in buildings as a baseline analysis for further research. The visual guide, which was researched and designed by Karim Elgendy with additional contributions from a small research team, was based on raw data obtained from the International Energy Agency and the World Bank. Copyrights for all infographics are reserved for Carboun. No reproduction or republishing of any infographic or part thereof is permitted without prior written consent from the author. During the 1990s and the early 2000s, the UAE, and the city of Dubai in particular, witnessed a rapid rate of growth in its built environment driven by a real estate bubble. In the span of a few years the city’s unprecedented rate of growth, which was driven by both demand and speculation, completely transformed the city. But such growth came at a price. Driven by their need for quick returns, developers cared little beyond delivering a building on time and on schedule. Speed of construction often came at the expense of quality, and issues of performance and energy use played almost no role in the design and construction processes. Common disregard of performance was also fueled by the fact that most buildings were commissioned for developers – rather than owner/occupier clients – since their focus lied solely on reducing initial capital expenditures without considering operating costs that are typically borne by tenants. These commercial forces, coupled with relatively cheap electricity across the UAE, and a lack of demanding building regulations have paved the way to the development of unsustainable design practices over the last decade. A typical office building in the UAE today is a predominantly glazed high rise tower. 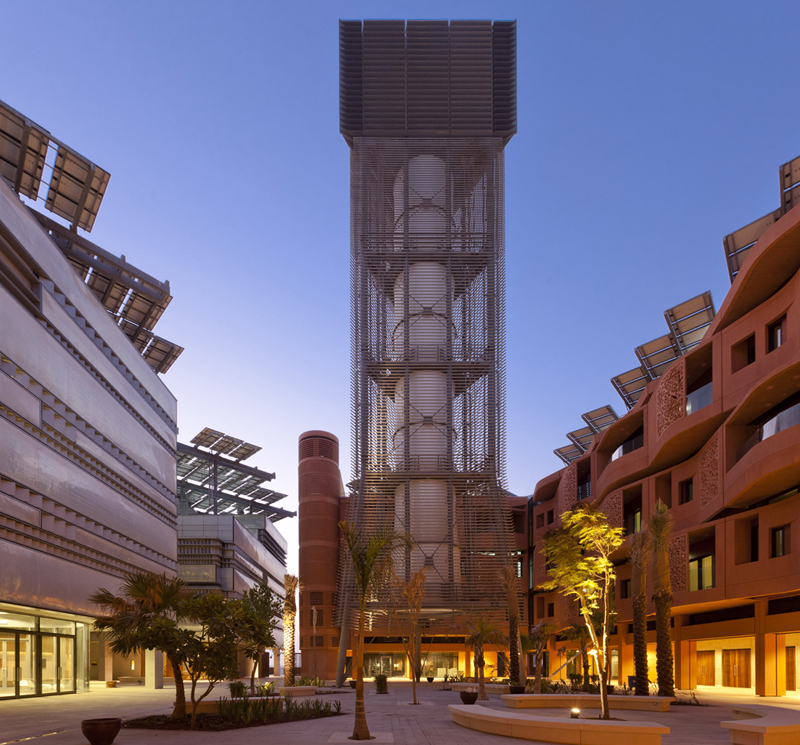 Basic design decisions such as orientation, massing, and envelope design are usually made without much regard to their impacts on the buildings’ energy performance, and passive cooling strategies are rarely considered.